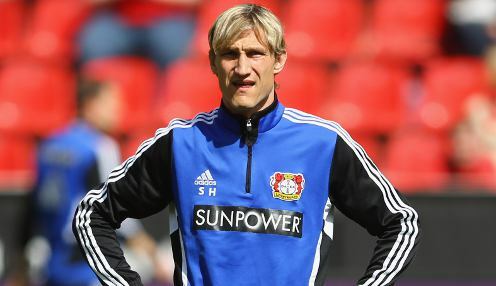 Sami Hyypia has been sacked by out-of-form Bayer Leverkusen. Bayer Leverkusen managing director Michael Schade believes that his club have made the right decision in replacing head coach Sami Hyypia. Bayer have won just one of their last nine Bundesliga games and were beaten 2-1 at Hamburg on Friday evening, leading to the replacement of Hyypia by Sascha Lewandowski. Schade told the club's official website: "After serious consideration and in view of the continuing crisis, we have come to the conclusion that a change in the management now is the only way of getting us back on track with the necessary urgency. We have come to the conclusion that a change in the management now is the only way of getting us back on track with the necessary urgency. "We have reached the point where we can unfortunately see no other possibility of getting back on course. "Sascha Lewandowski knows the team inside out and he is familiar with the internal structure of the club, so he doesn't need a long time to settle in. "We think that is a big advantage in our current situation, as it gives us the chance to take the appropriate measures quickly to get us back on track." Leverkusen's dramatic slump in form in recent weeks has seen them drop out of the top three, the automatic Champions League qualifying spots in the Bundesliga. And Leverkusen are only a few points ahead of the chasing pack, meaning that they will miss out on European competition altogether unless they arrest their decline. Leverkusen can be backed at 1/1 to finish in the top four, with Wolfsburg 1/1 and Borussia Monchengladbach 1/1.